Lawyer: Have you written a Will? Client: Nope, not ready to die yet. 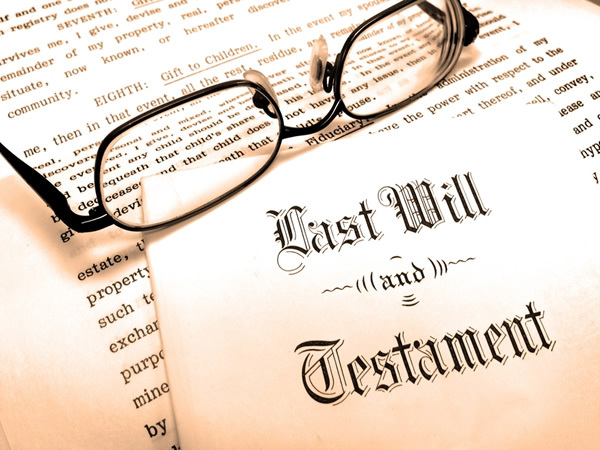 A Will is a testamentary deposition of a person’s assets, and in some cases, liabilities. Simply put, a Will is a document a person prepares to communicate how he/she will want his/her estate distributed after death. Being ambulatory, it only takes effect after the death of the testator (maker of the Will). A Codicil on the other hand is a document supplemental to a Will in which a testator makes further provisions for his/her estate. It may be used to distribute assets to which the testator got entitled after executing his/her Will, revoke gifts given in the Will, appoint new executors to replace previously appointed executors who may be unable to act, or such other supplemental issues that may arise after the execution of the Will. A good number of people may leave writing a Will to a much older age due to a foreboding that writing a Will may hasten demise. Some others consider their assets too few to warrant any formal distribution. Whatever the case, it is important that Wills when written are properly done and in a manner that the Courts will readily give effect to. In Nigeria, Wills are administered by state laws. This informs the preference of most testators to engage the services of lawyers in preparing Wills. Lawyers engaged for these services help guide the testator along the lines of legality to ensure a testator’s Will is enforceable after his death. Case in point, the Rivers State Wills Law provides in section 2 that a spouse, child, parent or sibling of the deceased who immediately before the death of the deceased was being maintained either wholly or partly, by the deceased may apply to the court for an order on the ground that dispositions of the deceased’s estate according to his Will is not such as to make reasonable financial provision for the applicant. The Court on certain considerations such as the time of making the application and what constitutes “reasonable financial provision” in the circumstances may make an order for the applicant’s maintenance from the estate of the deceased. This of course is irrespective of the fact that the order departs from the exact provisions of the Will. It is also pertinent to note that some hereditary customs have long been recognized by case law and may override certain provisions of a Will. Another legal point to be noted is that a valid Will must be signed by the testator before two witnesses who must be present at the same time, or if previously signed by the testator, the testator’s signature must be acknowledged by both witnesses in the presence of each other. Where the witnesses were not present at the same time, the Will may be invalid. If it is established that a deceased left a Will, the lawyer or such other person with whom the Will was reposed will inform the executors who are in turn, required to apply to the relevant Probate Registry for the Will to be read and subsequently for a Grant of Probate. The Probate Registry will issue the necessary forms to be filled and advise on the estate taxes to be paid before the Grant of Probate. Where a person dies intestate, i.e. without a Will, close relatives or associates would apply to the Probate Registry for letters of administration for the estate. The Registry will request sureties and interview them to ensure the applicants are the proper persons to make the application. Publications would also be made in Newspapers to inform the public that the applicants have come forward to obtain letters of administration for the estate of the deceased. Where there are no objections following the Newspaper publications, the Probate Registry will upon the payment of all relevant fees and estate tax, issue Letters of Administration to the applicants. 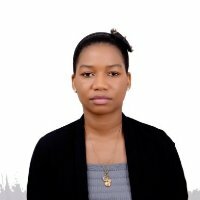 It is noteworthy that Letters of Administration may often omit certain assets of the deceased unless the deceased had close family members or associates who were aware of every single asset belonging to the deceased. In contrast, a testator sets out all his property in the Will including assets which no other person may have possibly had knowledge of. 6. Alterations to the Will. If not properly managed, disputes over a Will may survive the beneficiaries and depreciation of bequeathed assets may set in. In conclusion, whether a Will is written to express emotion as Sara Clarke of Bournmouth who directed in her will: To my daughter, I leave £1 – for the kindness and love she has never shown me or to ensure one’s assets are properly administered after death, Wills will continue to be written and in all cases, will affect not the deceased but those who are or are not mentioned in such Wills. It is therefore important that people understand the essence of Wills and how Wills affect them.